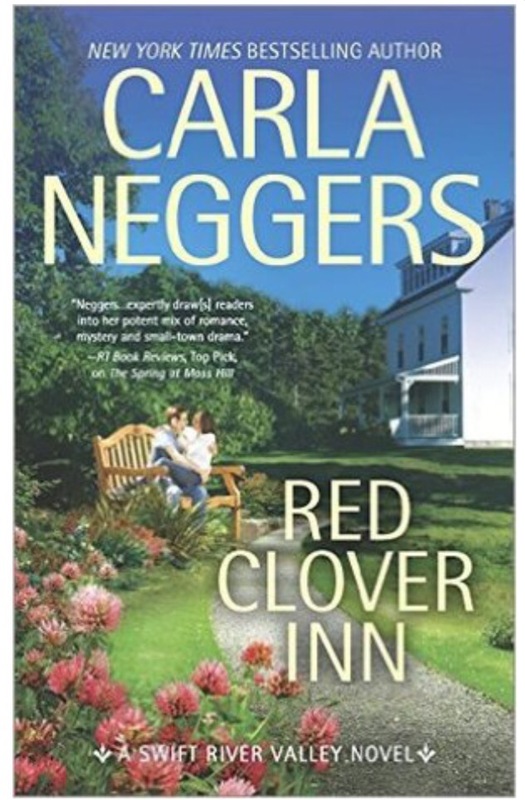 Carla Neggers writes strong and unique main characters in Red Clover Inn. Charlotte is a tough marine archaeologist who is taking some time off to attend her cousin’s wedding … and mentally recover from a diving scare. Greg is a diplomatic security agent attending the same wedding and recovering from a gunshot wound. I was pleasantly surprised that these two took time to develop a sturdy friendship before having a physical relationship. I enjoyed watching them maintain their cool facades – what they’re used to in their jobs – while intuitively seeing what’s really underneath in the other person. Neggers managed to write the push and pull without being annoying or cliche – outstanding! While Charlotte and Greg leave the wedding in London and fo their separate ways, they coincidentally end up in the same inn in Massachusetts. They fall in to solving a couple of little mysteries and meeting some of the many locals who are related in convoluted ways. Neggers could have done without trying to explain how everyone was related – I skipped over those parts because they weren’t necessary to the plot, and they held me up. I do think the writing is classic Carla Neggers – a really good plot but technically uneven. The creative storyline and intriguing characters made up for it, and I couldn’t put down my kindle because I needed to know what was happening next!